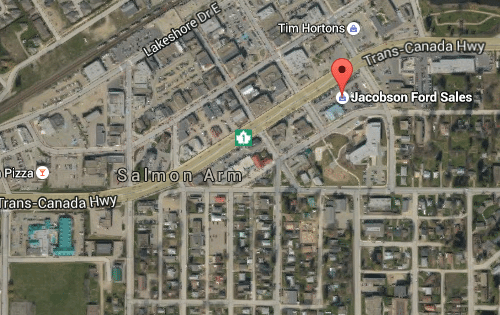 Located in Salmon Arm, British Columbia, serving the Thompson Okanagan, Shuswap and Columbia regions. 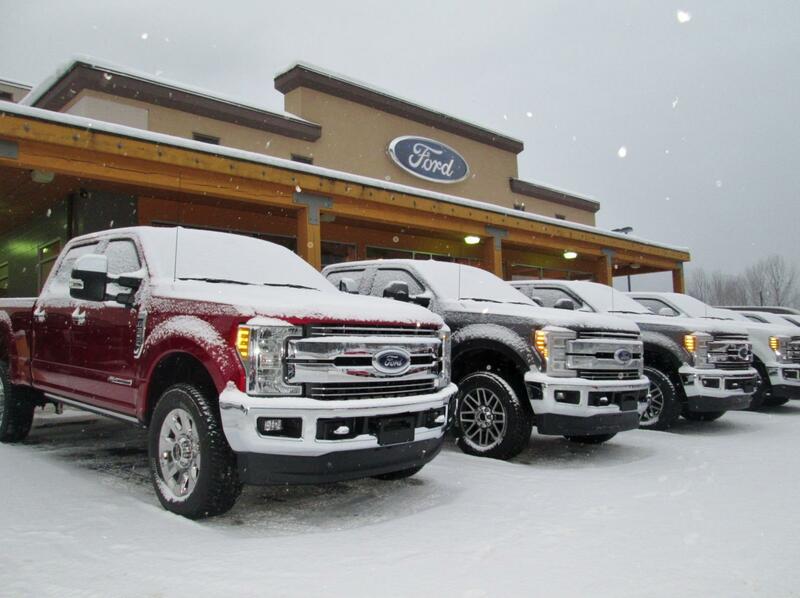 Jacobson Ford has a large selection of new Ford trucks, cars and SUVs and an excellent selection of used trucks, used cars and SUVs to choose from. Our dedicated sales staff and top-trained technicians are here to make your auto shopping experience fun, easy and financially advantageous. Please utilize our various online resources and allow our excellent network of people to put you in your ideal car, truck or SUV today! 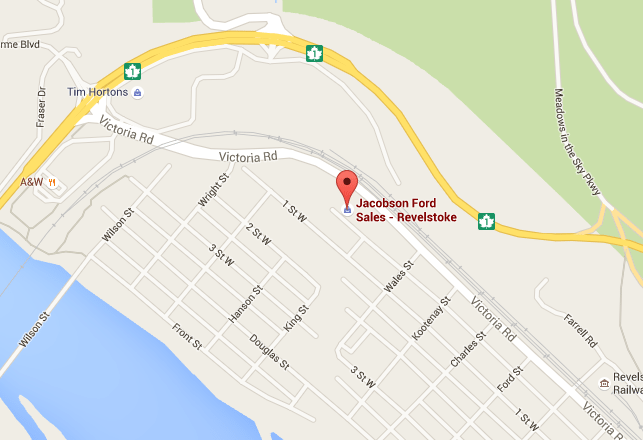 Established in 1967, Jacobson Ford Sales has grown to become a premier Ford dealer in the Shuswap, Columbia and the Thompson Okanagan region. Throughout our tenure we have grown our expertise to include the best possible customer service with top-notch repair and maintenance people. We at Jacobson Ford carry a large stock of new and used cars, trucks, minivans and SUVs so our customers can choose from a good selection of vehicles. Over the years, Jacobson Ford Sales has grown in its current location, as we now offer a state-of-the-art showroom, Parts & Service Centre, Finance Department and our most recent addition - our Vehicle Care Centre. 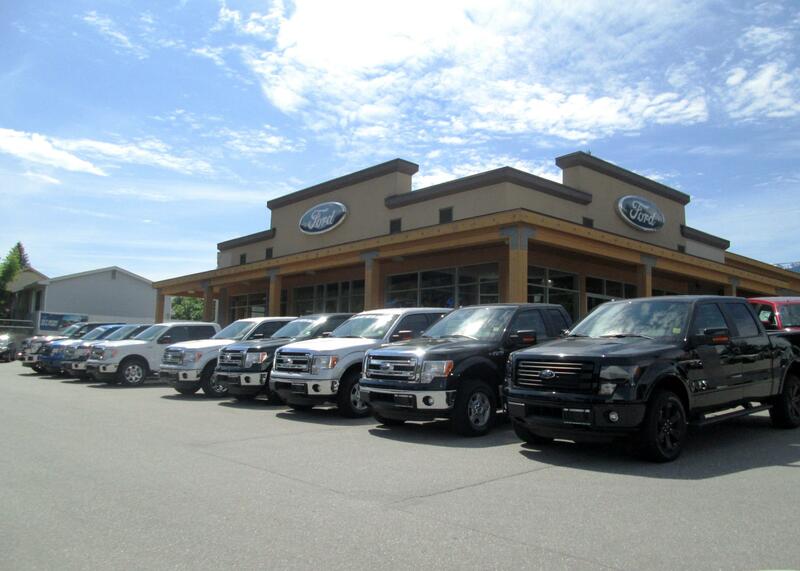 Whether you are in need of a new Ford vehicle or parts and service for your current vehicle, Jacobson Ford Sales of Salmon Arm is here to assist you with any of your automotive needs! At Jacobson Ford Sales, we look forward to serving you, our valued customer, for years to come. Please stop by our dealership, located at 450 T.C. Hwy N.E., Salmon Arm, BC and speak with one of our representatives today! 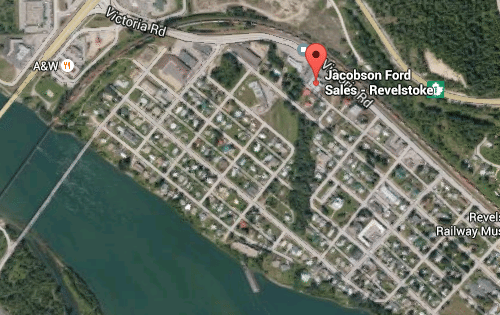 Located in Revelstoke, British Columbia serving the Columbia-Shuswap regions. 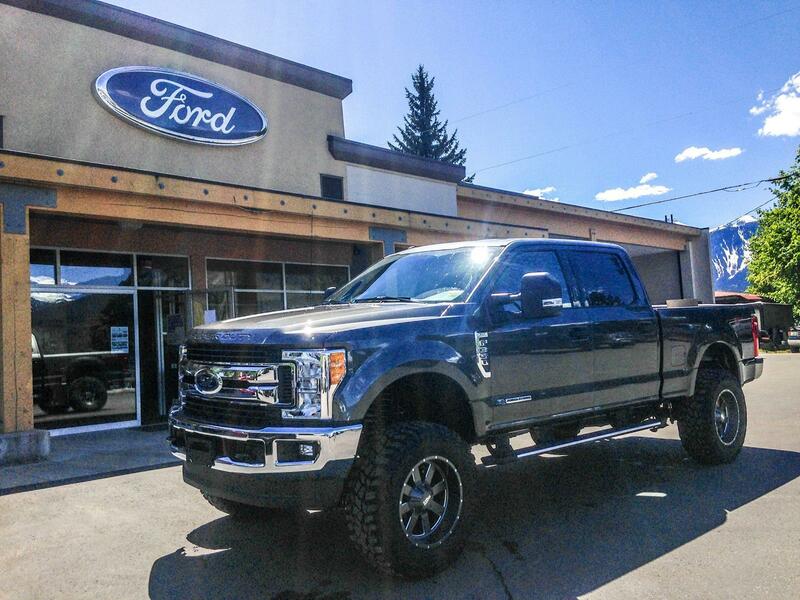 Jacobson Ford Revelstoke has an excellent selection of new Ford trucks, cars and SUVs and a large selection of pre-owned trucks, cars SUVs to choose from. Our dedicated sales staff and top-trained finance managers are here to make your auto shopping experience fun, easy and financially advantageous. Let our highly qualified technicians provide you exceptional service in a timely manner. From oil changes to transmission replacements, we are dedicated to maintaining top tier customer service, for both new and pre-owned car buyers! Allow our staff to demonstrate our commitment to excellence. Our Parts Department keeps an inventory of high quality genuine OEM parts and the knowledgeable staff are here to answer any of your questions. Stop by Jacobson Ford Sales for all your Ford service needs. Questions? Any of our knowledgeable service and sales people can help. Call 888-615-9761.